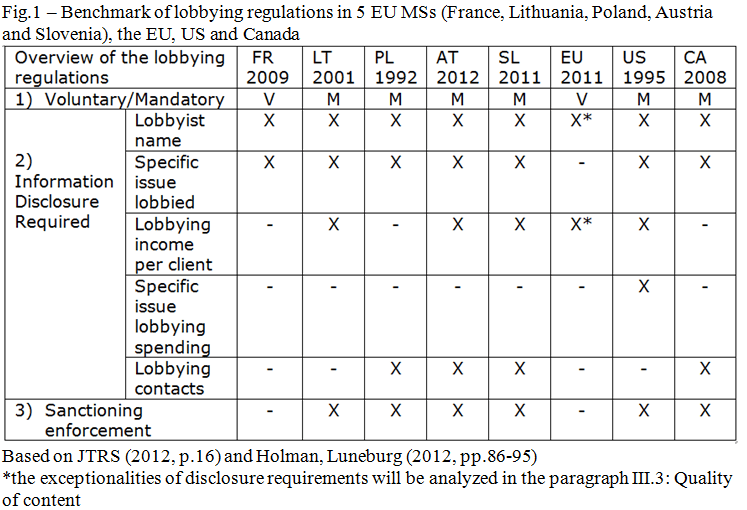 The EU Transparency Register for lobbying. Not a success, not a failure: work in progress. On a dozy night in Maastricht, with the end of my university life in sight and the start of the working life approaching, I decided to watch the movie Brussels Business. 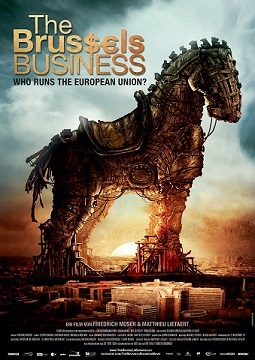 The movie is a thrilling piece of art, if not for everyone, at least for EU Public affairs students and practitioners. I realized that the movie’s theme corresponded with what I was writing about in my evaluation report: the EU Transparency Register for lobbyists. I was even more puzzled when I recognized one of the protagonists of the documentary was the researcher I had just interviewed: Oliver Hoedeman. Of course, the documentary had far more pizzazz than my report. However, for anyone interested in EU Public Affairs, the reality behind the 007-like movie’s scenes remains quite entertaining. What is this Transparency Register for Lobbying? It is the joint voluntary scheme of the European Parliament and the Commission to regulate lobbying activities in the EU. It materializes in a website where those engaged in “influencing the formulation or implementation of policy and the decision-making processes of the EU institutions” are expected to register, and to “provide the most essential information about themselves”. Such a voluntary scheme was pushed forward in the framework of the European Transparency Initiative by the ex-Commissioner for Inter-institutional Affairs, Siim Kallas. The other driving force was “the lobbying campaign aimed at regulating lobbying”, by the small Dutch NGO Olivier Hoedeman works for Corporate Europe Observatory (CEO). As foreseen by the inter-institutional agreement that established the register, the Transparency Register is now being reviewed. Subsequently, my evaluation seeks to assess the effectiveness of the policy tool and to contribute with evidence-based recommendations to the ongoing debate. The research used both quantitative and qualitative data. Figures come from the Commission’s evaluation of the register, the register itself, and a report from The Alliance for Lobbying Transparency and Ethics Regulation (Alter-EU). I then had the pleasure of interviewing key “stakeholders”: Kristian Schmidt – Director General of the previous Cabinet of Kallas, Marie Thiel – member for the EP of the register’s Secretariat (JTRS), Olivier Hoedeman – researcher at Alter-EU, and Karl Isaaksson – chair of the European Public Affairs Consultancies’ Association. The research findings show that, after nearly two years of operations, the register can be considered as only partially effective, and still lacks features that would enable it to achieve the foreseen goals (comprehensive inclusion of lobbyists, high quality of content and widespread use by regulators). Firstly, although it has more than 5500 registrants, some key stakeholders are holding out, as an even more recent study from Prof. Justin Greenwood confirms. Secondly, the register lacks some disclosure requirements in place for similar non-EU schemes (see fig 1). It does not ‘level the playing field’ for the registrant, due to uneven financial disclosure requirements for think-tanks and NGOs, and the register has an high incidence of inaccurate information submitted (with no common updating deadline) by registrants. Thirdly, even if hardly measurable, the use of this resource by the members of the Parliament and the Commission civil servants is perceived as low. Once having identified the room for improvement, my report proposes feasible solutions to enhance the effectiveness of the transparency register. 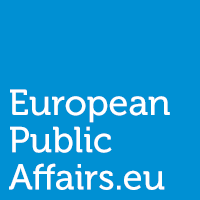 To expand the registration, as the EP accreditation seems to be an insufficient incentive, the Commission staff should stop agreeing to meet unregistered lobbyists and invite the Parliamentarian groups to likewise refrain. Meanwhile the debate must continue about the (legally complex) progression toward mandatory registration. To increase the quality of content, the JTRS could tighten the requirements on financial declaration, introduce a list of legislative files to be crossed by registrants, ask them to update the information on a common deadline, and work for the establishment of a legislative footprint. Regarding the enforcers side, a way to make measurable, whilst stimulating, the institution’s staff use of the register would be the implementation of statistical tools that show which portion are ‘unique visitors’ of the website and of the alerts that come from the institutions themselves. The current Commissioner for inter-institutional affairs, Maroš Šefčovič, looks at the full half of the glass. My report recognizes the merits of the register, while pointing to the other half of the glass which is not ‘full’. The report’s recommendations, placing positive incentives on the registrants and users of the voluntary register, would increase its overall effectiveness. Bringing more transparency to the EU Bubble would probably make it more difficult to have thrilling movies on the lobbying profession, but it would help to free the profession from suspicion and bad reputation. Special thanks go to: Ms. Thiel, Mr. Greenwood, Mr. Hoedeman, Mr. Isaksson and Mr.Schmidt, who contributed decisively to the development of my evaluation report. The report is downloadable below. Do not hesitate to contact me for any question, comments or in case of problems while downloading the report. NextKeep an ace… under the Sea!